In a city famous for its food scene, one could argue that San Francisco does brunch better than anyone else. The only problem with finding the best brunch places in SF, in fact, is that there are almost too many options, making it both tough to decide where to go and impossible to try them all! 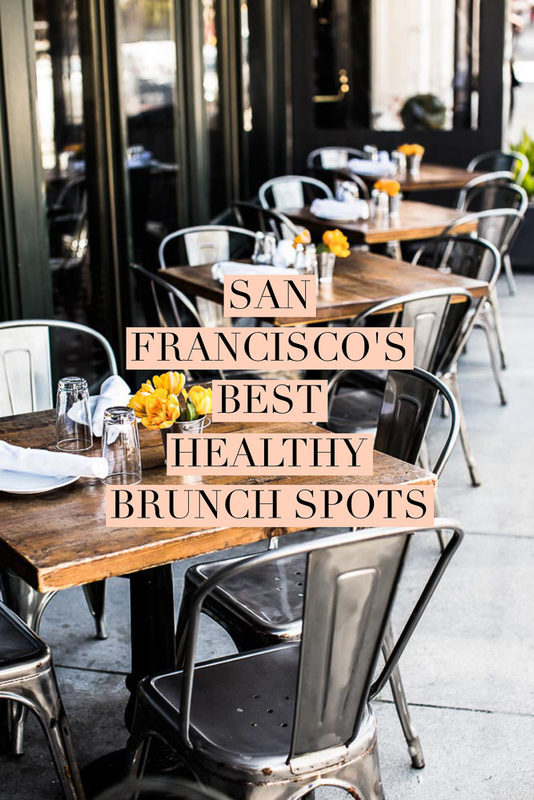 Since I’d personally pick brunch over any other meal, it seemed right that my first San Francisco post be about the best healthy(ish) brunch spots in this wonderful city I call home. When picking a brunch spot, I personally look for these things: fresh and quality ingredients, healthy menu options, good drinks, a beautiful space, and a fun ambiance. While my recommendations below are not all clean, plant-based restaurants, they each offer the ability to order something on the healthier side vs. being known for their sugar-covered bacon and deep fried french toast (no offense, Sweet Maple). Healthy breakfast San Francisco is so good you don’t need to worry about losing taste in favor of health! Flores is a new Mexican restaurant located one of my favorite streets in the city, Union Street, and one of THE best brunch places in SF… possibly even the best brunch in San Franciso, honestly! 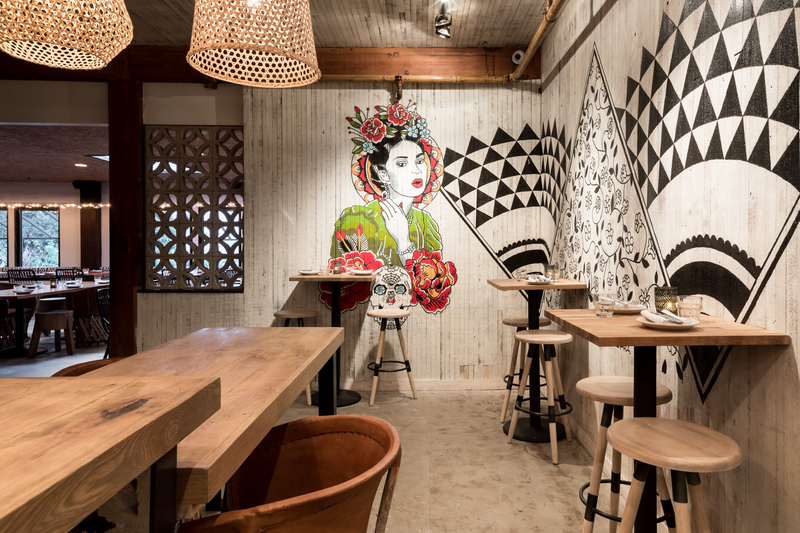 Self-described as a traditional Mexican restaurant, sourced from family recipes, but with a San Francisco flair. Each day they hand make their own tortillas out of fresh masa, which they call their menu's star ingredient. They serve fresh, local food, delicious drinks (by the pitcher, even!) and have quickly become one of my favorite spots in the entire city for any meal. Brunch is offered on both Saturday and Sunday from 11am to 3pm. 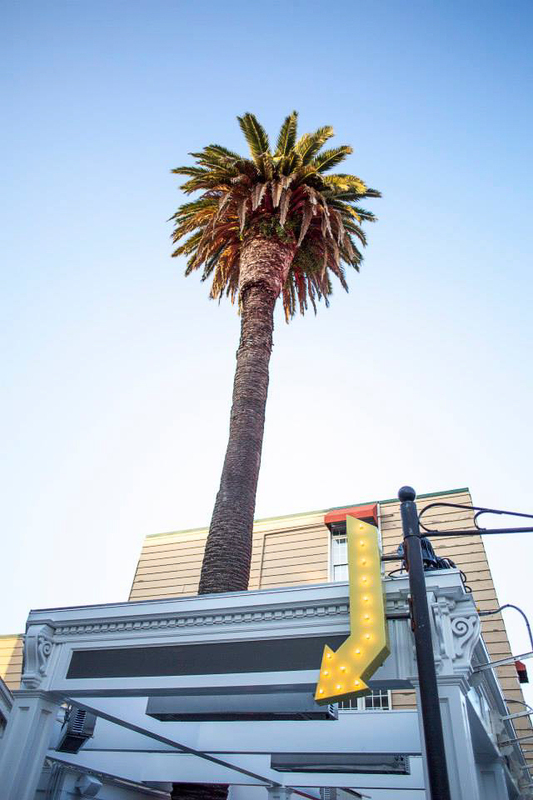 Another Union Street gem, Palm House is "influenced by the diverse cuisines of Cuba, Brazil, Indonesia, Hawaii, and the Caribbean" which is made clear in both their decor and menu. The inside is lively and beautifully decorated and they also offer heated outdoor seating on one of the best people-watching streets in the city! The food isn't my favorite (food-wise it’s probably my least favorite on this list) but the space is great and it's a spot I find myself coming back to time and time again. Brunch is served both Saturday and Sunday starting at 10:30am. Jane is hands down one of my favorite SF brunch places. I wouldn't exactly call it a brunch spot (I know, I cheated), but it's a delicious cafe with top quality coffee, breakfast, and lunch. The egg white sandwich on fresh baked sourdough with avocado and siracha is so good that I basically have dreams about it. At the Fillmore location they also have the most picture-perfect chevron print tables so if you're into taking photos of your food you have got to go here. The only downside is that it's no secret how wonderful the food so it can be incredibly hard to score a table here! Breakfast is offered daily at 7am and on the weekend "brunch" is available at Larkin Street only from 7am to 2pm. Park Tavern is an upscale American tavern in North Beach located next to Washington Square Park and home to the best SF brunch (or one of them). It is the sister restaurant of many other local gems such as Leo's Oyster Bar (swoon), Marlowe, the Cavalier, and more. The menu is seasonal so it's always changing to include fun, new creations and I've never had a meal here that I didn't love. They serve brunch on Saturday and Sunday from 10am to 2:30pm. I searched high and low for some photos of the Magic Flute Ristorante that would do it proper justice but could only come up with this one via @caitlinflemming. The Magic Flute is one of my main brunch spots in SF for a few reasons: it's near my home, it's easier than most to get into, and it has an amazing outdoor garden patio. It's also been family owned for 35 years, making it a great place to support. They also serve everything with fruit on the side, and not lame fruit like cheap melon, but the good stuff. Here you will often see families or groups of girlfriends celebrating a shower of some kind. It is very laid back and low key and not a party spot. Brunch is Saturday and Sunday, 10am to 2:30pm. Note: part of what I love about this place is the vibes of the garden patio, so I would consider it imperative that you sit out back and not inside. The Tipsy Pig is a self-described "American gastrotavern" but more importantly it's great for day drinking which is the main reason it's on my best San Francisco brunch list! If you're looking for a lively place to eat decent food and down some delicious (arguably overpriced) cocktails out of mason jars in the sunshine, this is it. The back patio is always full of people looking to kick off their day drinking the right way. Brunch is served Friday through Sunday starting at 11am. You'll probably want to make reservations - it gets packed! 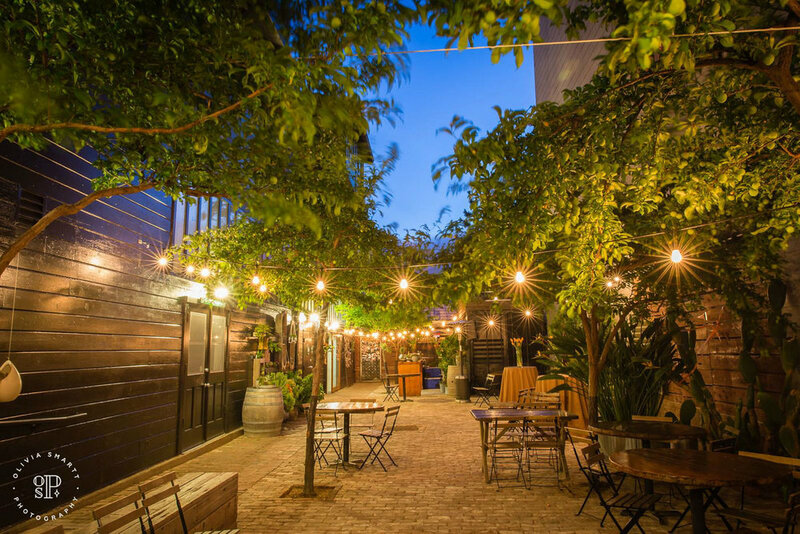 I discovered Stable Cafe one day while I was walking to a party and happened to glance into the beautiful courtyard. It, like Jane, is a cafe and not a typical brunch spot. 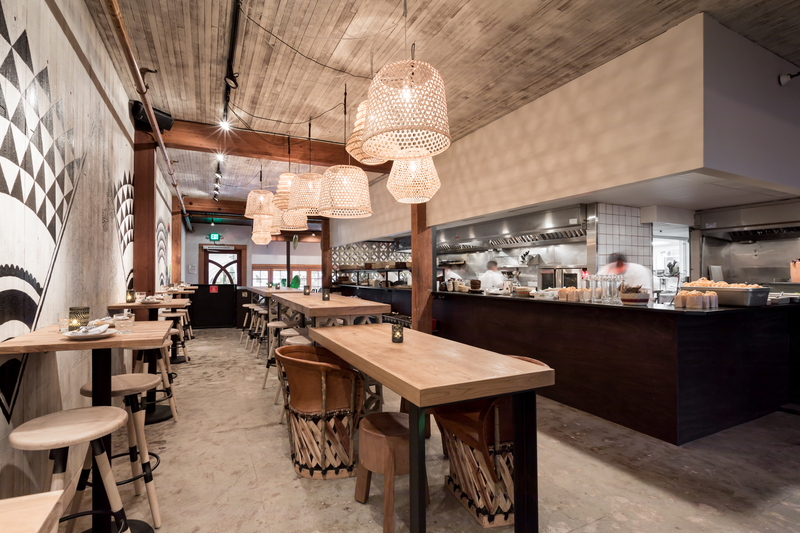 Serving Latin American cuisine, each recipe "starts with local, fresh, and sustainable ingredients - including eggs & produce from [their] farm in Petaluma". The food is not the best I've ever had but if you want a quick bite and some caffeine in a beautiful space, check it out. They offer breakfast on weekdays until 11am and on weekends until 2pm. They take reservations for brunch only and it is POPULAR so I would certainly recommend making them. Also all seats are outside on the open-air rooftop so do not forget a coat. Open 11am to 3pm Saturday and Sunday for brunch. If you follow me on Insta you've seen this place 100 times because I go almost every single weekend if I am in town. Hawaii-based Basik Cafe makes the best acai bowls you've ever tasted - promise. It's not a sit down brunch restaurant but it is breakfast food and some of the best in the city so I couldn't skip it :) There's almost always an alarmingly long line but it's worth it and goes fairly quickly. They also offer smoothies but if you go here and do not get an acai bowl you are really doing yourself an injustice so skip the smoothie. Basik opens Monday-Saturday at 8am and Sunday at 9am. Everyone's favorite brunch spot, Zazie! I surprisingly could not find any good photos to properly convey their wonderful back patio, but you'll see this spot on just about every brunch list ever written so you can rest assured it is a good one. They conveniently offer brunch every day of the week but even still it is rumored to be busy on any random Tuesday morning. Aside from the delicious food, they are also tip free - their menu is priced as is to provide the necessary benefits to all of their employees. Something worth supporting, for sure! You can read more about their wonderful philosophy here. Zazie opens weekdays at 8am and weekends at 9. Get there early - last time I arrived right at 9am as a party of two I still had to wait almost an hour. Expect a wait. B. Patisserie is the best french patisserie outside of France, I'm convinced. If calories did not count and sugar wasn't deadly I swear I'd come here every single day. The menu is "composed of modern French style pastries along with American flavors and local influences" and the decor is picture perfect with yellow chairs, marble countertop tables, and petite fresh flower vases at each. A quick scroll through their location on Instagram will have you drooling in no time. They're open Tuesday through Sunday, 8am to 6pm. Pure genius, this place! Mr. Holmes Bakehouse is famous for two things - their cruffins and being more Instagramable than we even knew possible before it came along. What's a cruffin? It's a croissant baked like a muffin and filled with a flavored cream. Flavors change daily and are announced on a weekly basis so that you know which day(s) you need to sleep on the sidewalk out front in order to get one. Kidding, kind of. They become available daily at 9am and people start lining up hours in advance. 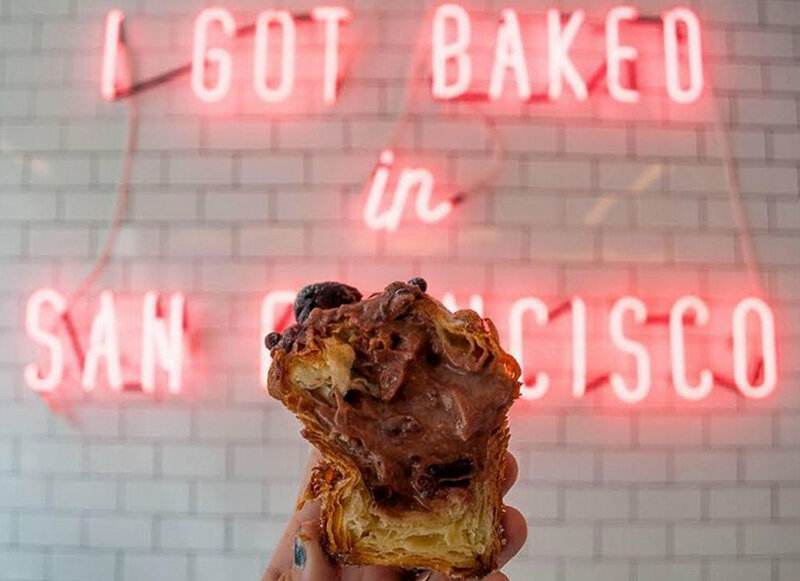 Cruffins aside, the space is to die for - everything from the “I got baked in San Francisco” sign to the “Holmes Sweet Holmes” on the floor to their golden boxes. Open 7am to 2:30 on weekdays and 8am to 3:30 on weekends.